Must Have of the Day: Floral symbols of Love all the Dolce & Gabbana DNA is here! Floral dresses pink tulip, peony pink, pale pink and rose prints offered a counterpoint to the pantomime dramatics, several exquisitely embroidered with silk or chiffon flowers. Embroidered and printed on black or white, the tulip and peony are a symbol of love and purity. Their simple shape and varied shades make every garment special and unique. 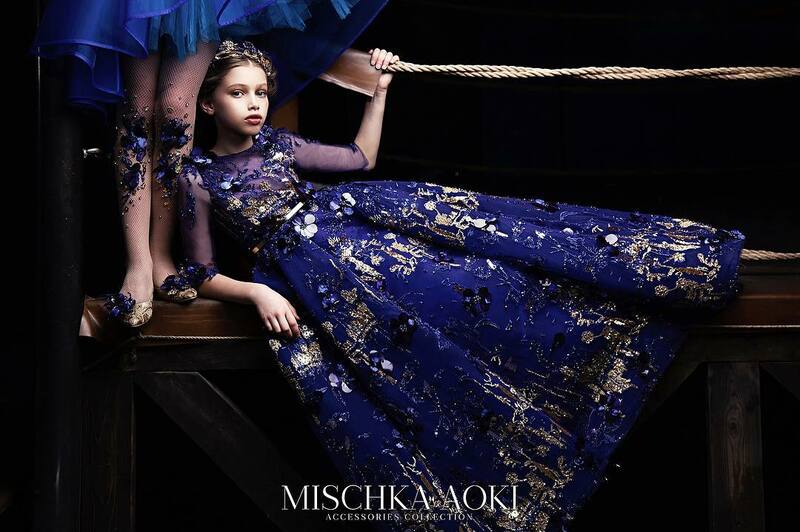 All the Dolce & Gabbana DNA is here as it always is! 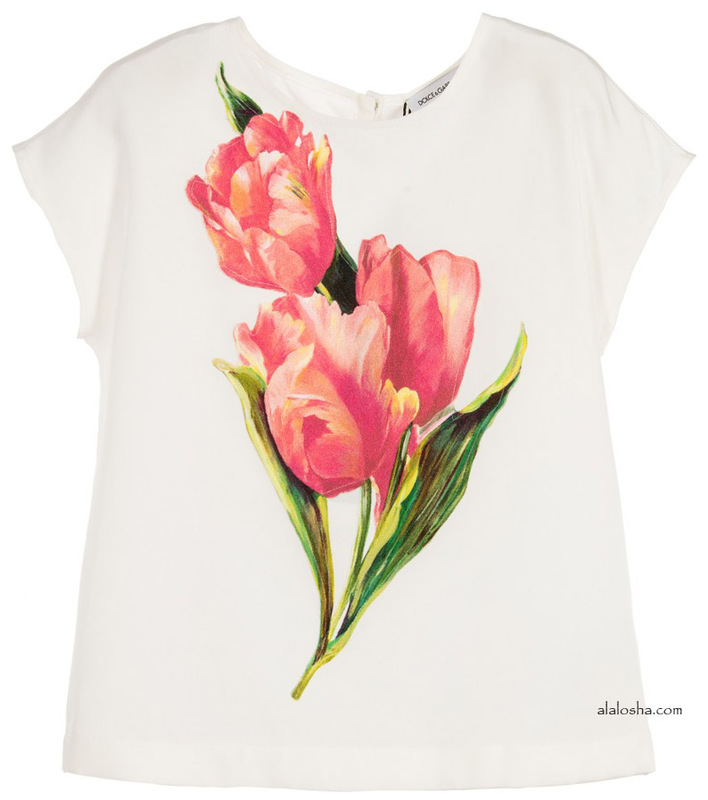 Girls white silk blouse with a pink tulip print from Dolce & Gabbana. This pretty top has a lightweight soft and silky feel with embroidered tulip appliqué on the front. 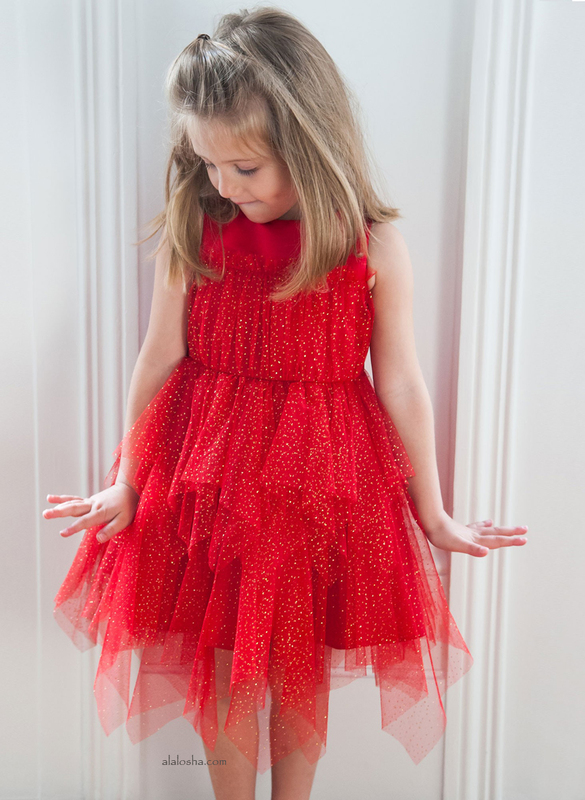 It has a round neckline and does up at the back with poppers and is fully lined in silk. 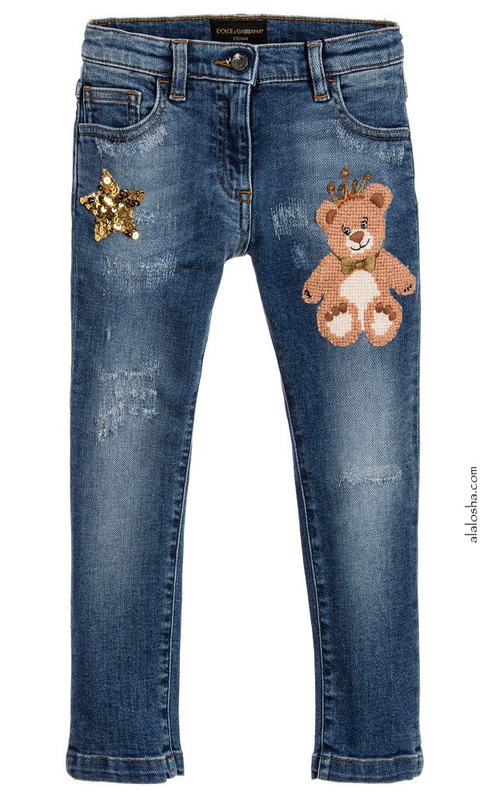 Girls distressed, faded blue jeans by Dolce & Gabbana, featuring an embroidered teddy bear and gold sequin star on the front and a crown appliqué at the back. Made in cotton denim with added elastane for stretch, these slim fit jeans have a zip and logo button fastening, with an adjustable waistband and five pockets. 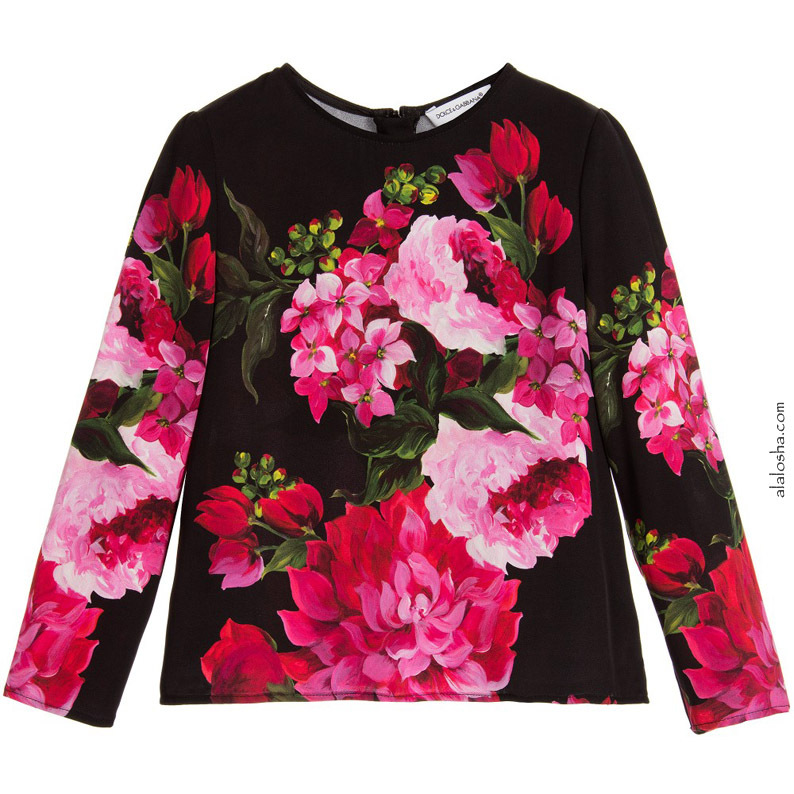 Girls black and pink floral silk blouse by Dolce & Gabbana. This beautiful shirt is made in lightweight silk chiffon, with a hand-illustrated floral design, long sleeves and a concealed back zip fastening. 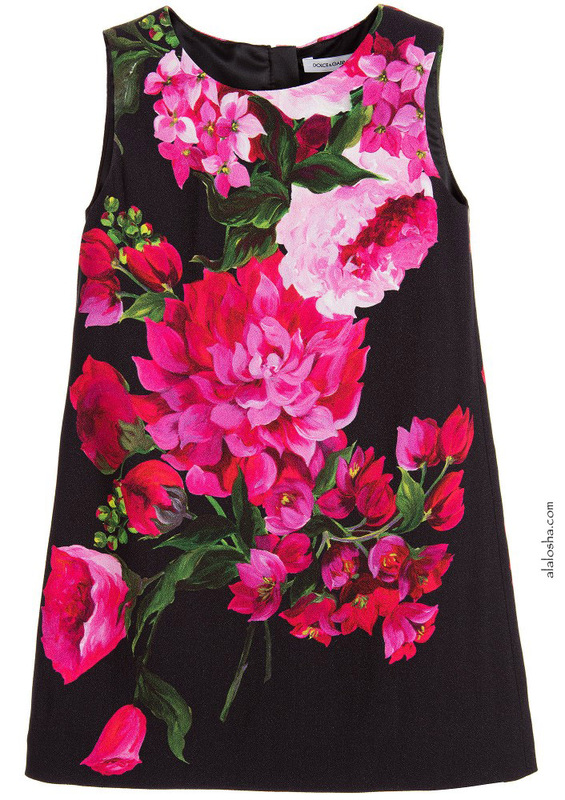 Black viscose crêpe dress by Dolce & Gabbana, featuring a beautiful print of pink flowers on both the front and back. Fully lined in black satin, it has a covered zip fastener on the back. 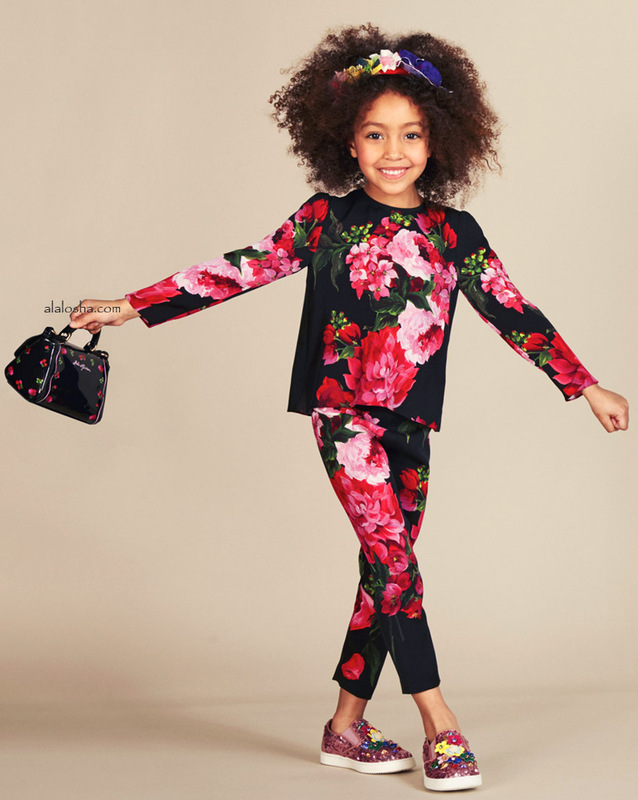 Girls pink and black tulip brocade jacket by Dolce & Gabbana. 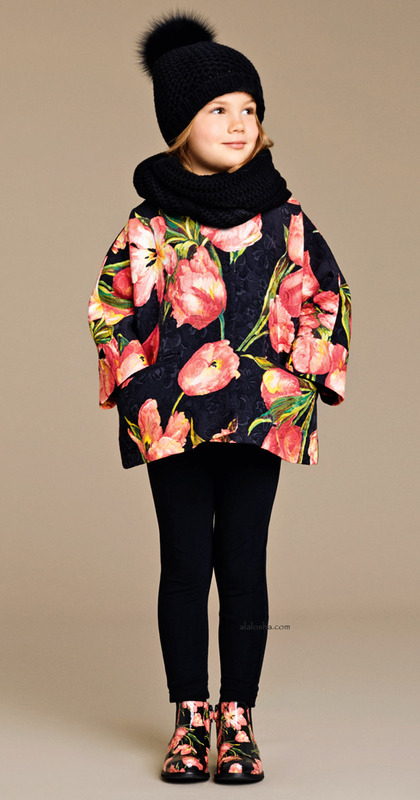 This swing style coat has a beautifully textured fabric and floral print. Woven in a soft cotton, silk and viscose blend, it has concealed popper fastening, front pockets and a round neckline, with a silky satin lining. 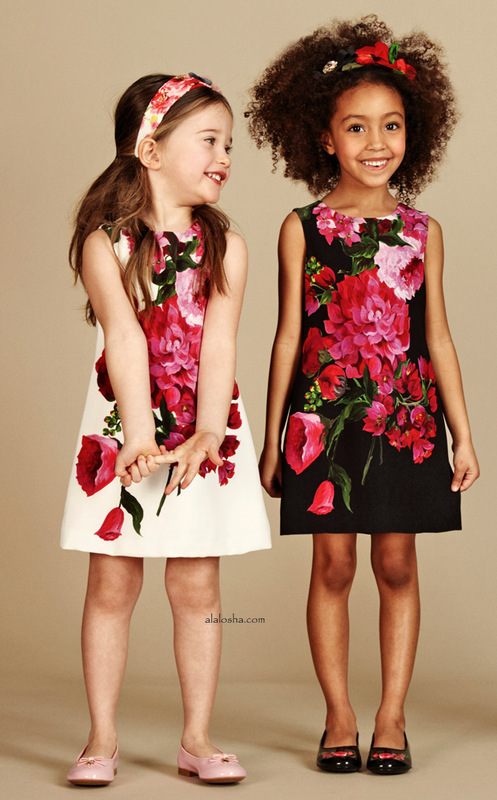 Baby girls white viscose crêpe dress by Dolce & Gabbana. It has an attached silky lining and a concealed zip to fasten on the back. The front and back has a print of beautiful flowers in shades of pink. The dress comes with a pair of silky knickers to cover the nappy. 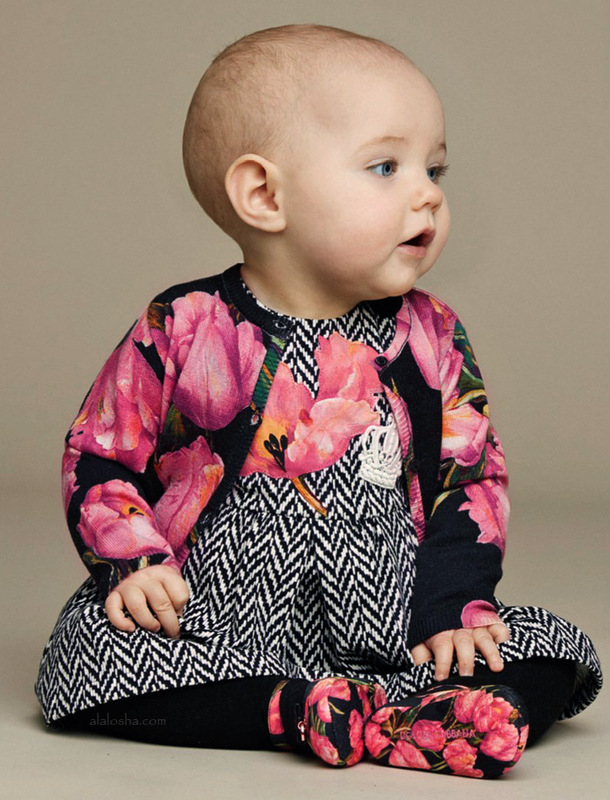 Girls black cardigan, featuring Dolce & Gabbana's pink and green tulip print. Made in soft, finely knitted, cosy wool, it has a logo button fastener with a ribbed collar, cuffs and hem.